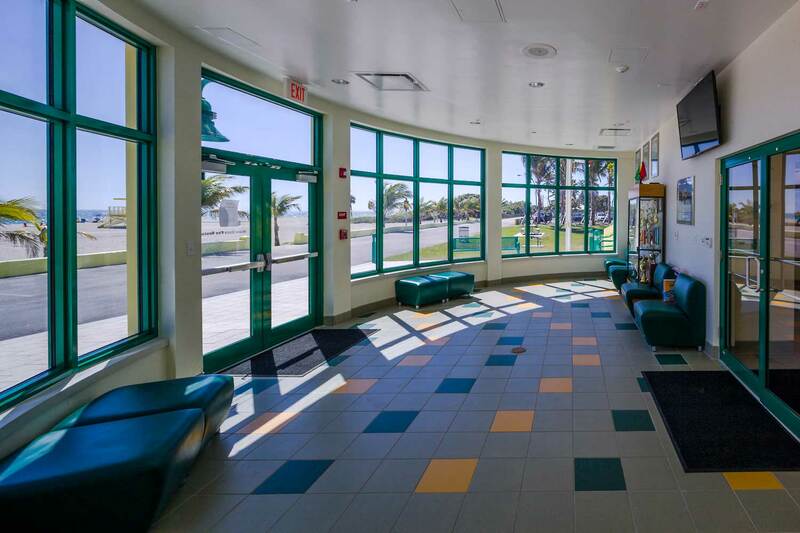 The Haulover Park Life Safety Facility was constructed as part of the Haulover Beach Park Master Plan to address the needs of the one mile-long stretch of sandy beach and park’s ever-growing crowds of visitors. 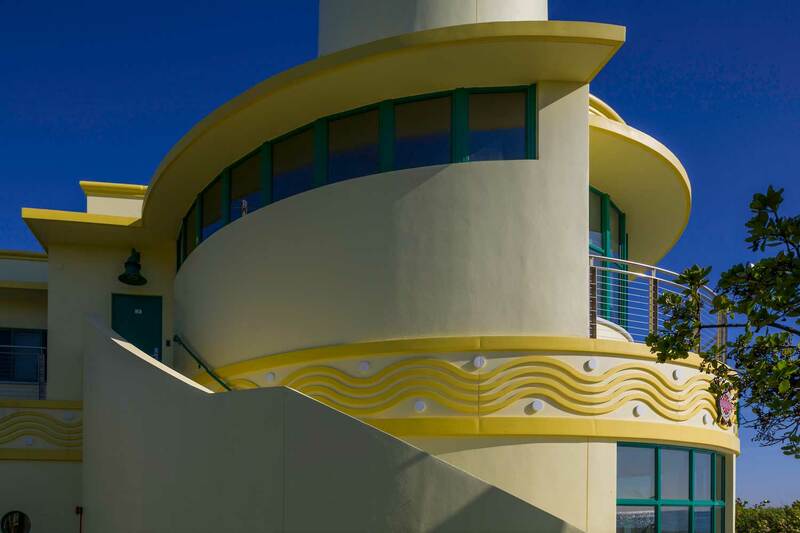 The 11,906 Sq. 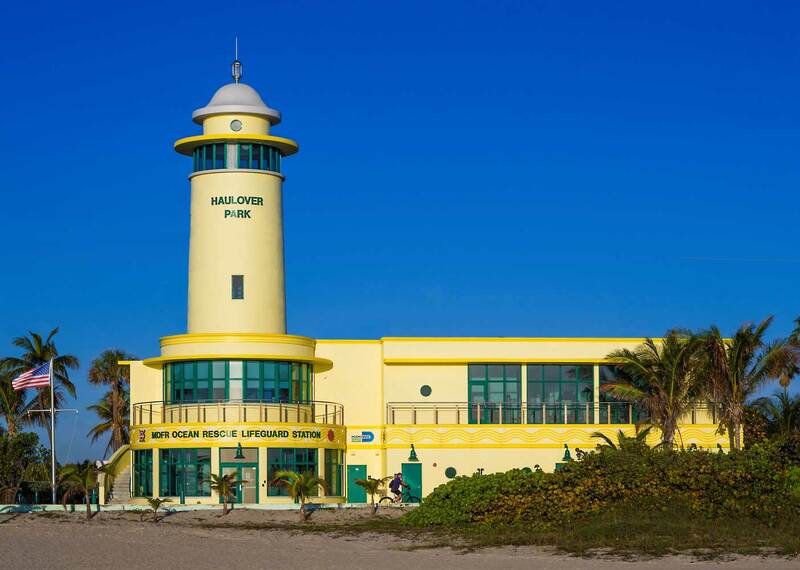 Ft. life safety facility is a 3-story building designed in a Streamline Moderne style reminiscent of the work of early Miami Modernist Igor Polevitzky and a lighthouse/restaurant that once stood on the site. 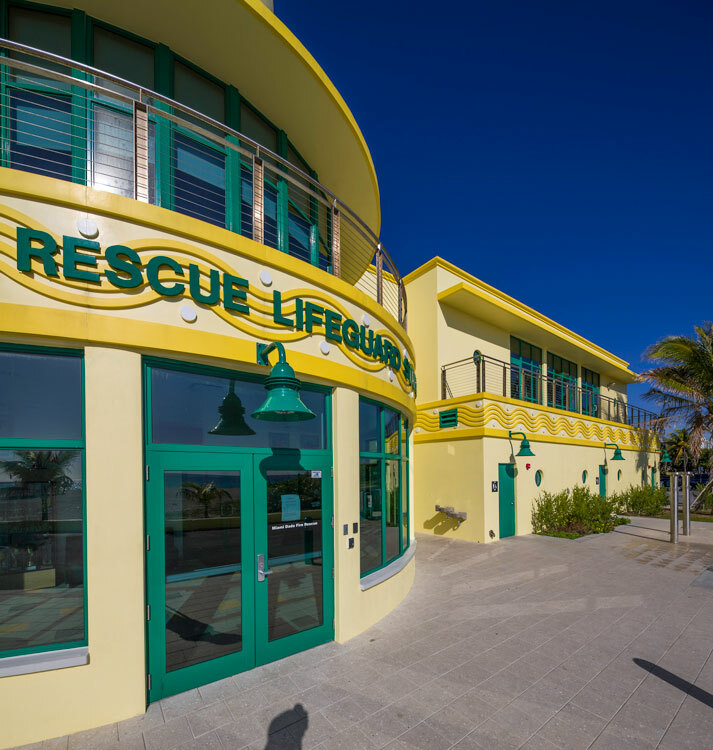 This new state of the art facility houses over 20 Ocean Rescue personnel with rest rooms, locker rooms, exercise room and offices. 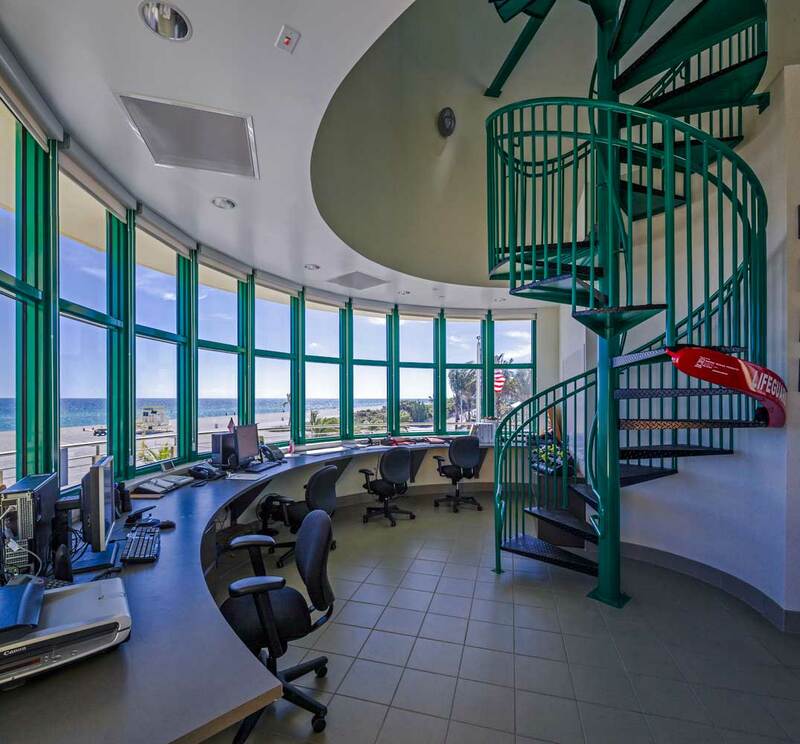 Additionally it includes training facilities, control and communications equipment, emergency vehicles and public accessible toilets. 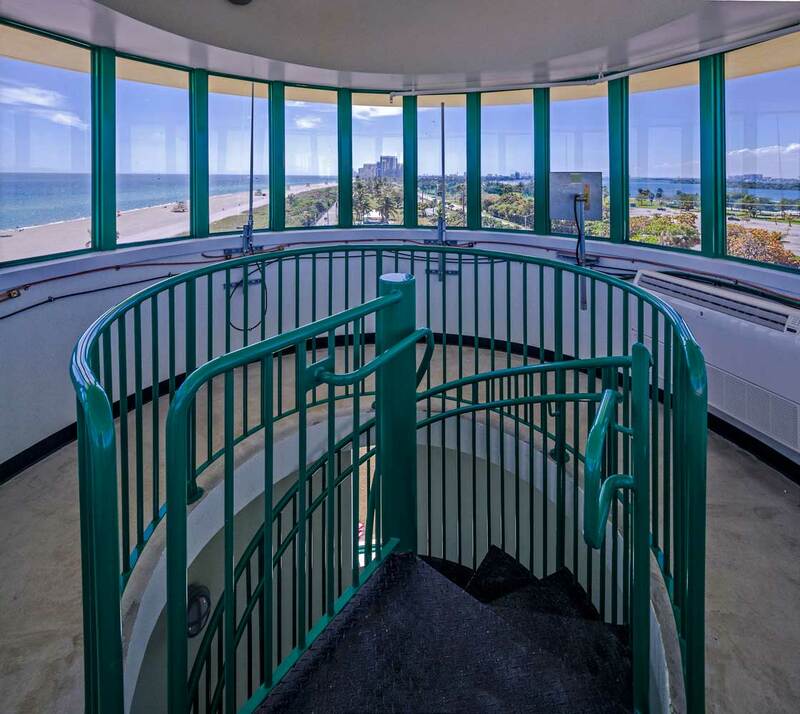 The 80 ft. tall observation tower with its “lighthouse” design gives lifeguards a 3600 view from one end of the beach park to the other.